Google’s Featured Snippets or ‘Position 0’ as some call it have become increasingly prominent in search engine result pages (SERPs). According to research data from Stone Temple Consulting, more than 55% of the queries on Google show featured snippets. Clearly, Google sees great value in this initiative and the growth of featured snippets in SERPs is only set to continue in the coming months. To that end, it’s worthwhile knowing a few tips on how to rank your content in featured snippets. In this article, I’ll explain what a featured snippet is and more importantly, share some techniques on how you can get your content up there. Google and other search engines show a search result in a special featured snippet block at the top of the search engine result pages (SERPs) usually when a question-based query is searched for. The snippet displays content from within any of the pages that directly answers the question searched for without the user having to visit the actual page. 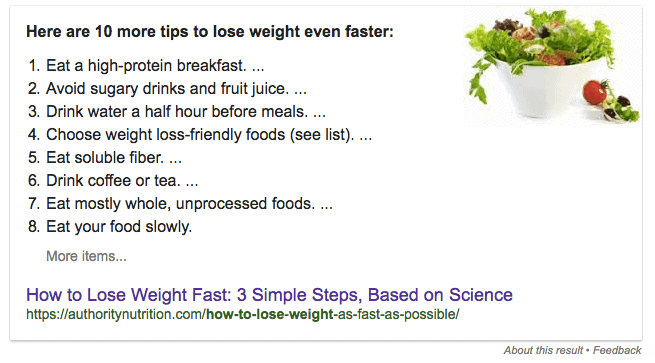 The featured snippet above displays tips to lose weight that have been pulled from the Authority Nutrition website (in this case, the top result for “how to lose weight”). There is a common misconception among SEO professionals that featured snippets have a negative impact on the clickthrough rate (CTR). This is not true. 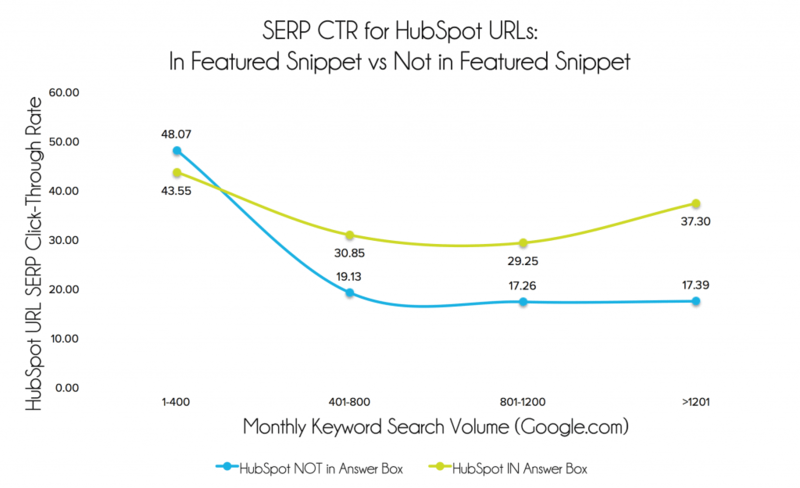 In fact, HubSpot found that the average CTR to their site increased by 114% by optimizing their content for featured snippets as shown in the graph below. From an SEO standpoint, featured snippets don’t influence search rankings directly. Research indicates the content ranked in the featured snippet box may be taken from page 1 or page 5. Nevertheless, this shouldn’t discourage you from optimizing content for featured snippets. If your content ranks in the featured snippets section, not only are you increasing chances of a higher CTR, but also creating content that is of real value to your users. How Do You Rank in the Featured Snippets Section? There is a lot of conflicting information on the web about ranking in the featured snippets section. The most popular theory is that it has something to do with Schema.org data. Strangely enough, 80% of the websites that rank in featured snippets don’t use any kind of Schema.org mark up data. Clearly, Schema.org is not the case then. Well, the answer from Big G is simple. You’ve gotta earn your featured snippet! Having said that, you can’t just sit back, relax and expect your content to feature in SERPs like magic. You need to optimize your content in a way that makes it easy for Google to fetch your content and place it in their featured snippets boxes. And I tried doing just that with one of my posts. 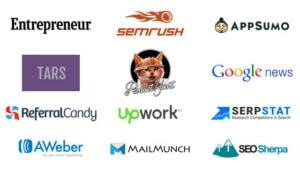 This one – 10 Technical SEO Tips To Instantly Boost Your Site’s Rankings. So clearly there are ways to optimize your content to get ranked in featured snippets. Although there is no secret formula to guarantee these featured snippets, having a great content strategy and following a few on-page SEO fundamentals can go a long in capturing “position 0” on Google. Featured snippets is all about providing the best user experience for people searching for answers on Google. This means when a user asks simple questions like “When is Mother’s Day” or “What is Barack Obama’s age”, they shouldn’t have to wait around for the sites to load to get their answers. Google just provides them these answers via featured snippets. If your site is designed to answer basic questions like the ones above, then there is no point in optimizing your content for featured snippets. These answers are more and more getting included right in the search page. Moreover, these are cases where you’re not going to see a great improvement in CTR as well, because why would the users bother clicking on the result when they already have the answer? On the other hand, if your site is aimed at answering complex questions, then getting your content ranked in featured snippets can significantly improve your CTR. 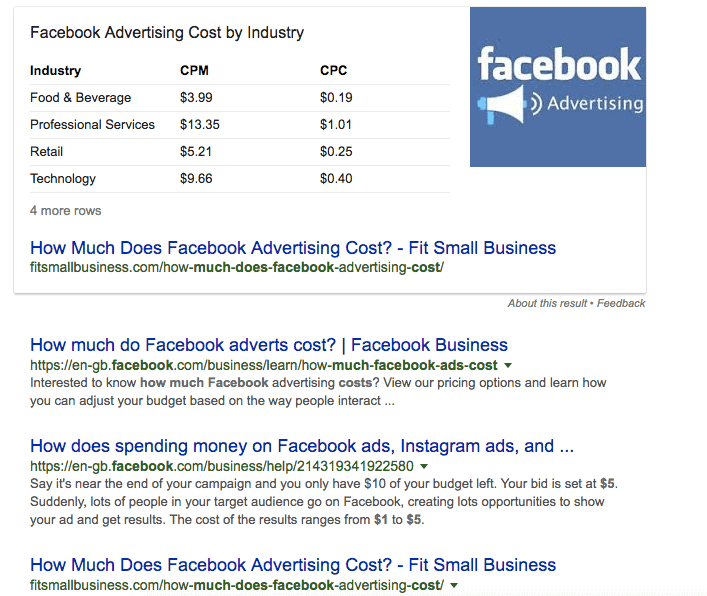 A question such as “How much does advertising on Facebook cost” is a perfect example of a complex question. Google will try to answer this question in a featured snippet, but there is no simple answer that works for everyone. In fact, the featured snippet for this question on Google prompts users to probe further into getting an in-depth answer. 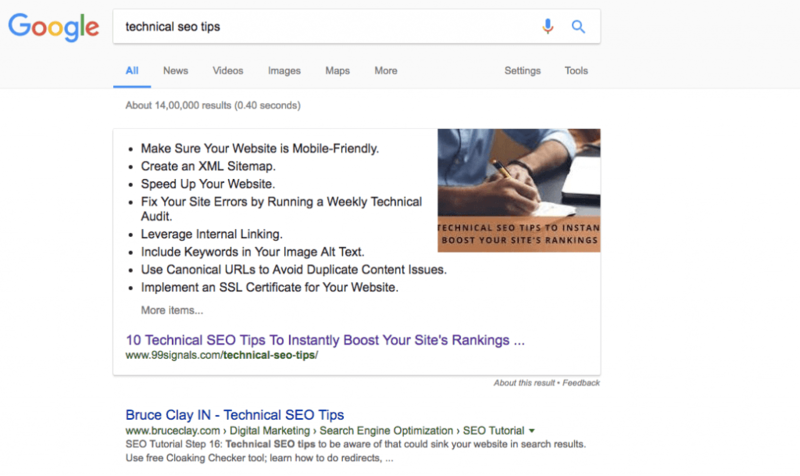 In similar fashion, the content for which we are currently ranked in featured snippets compels users to research further into getting a more in-depth answer and elaboration on those “technical SEO tips“. As a result, you should make an attempt to answer complex questions in your niche. While doing keyword research, look for questions that you can answer with in-depth content. When you target common keywords, chances of you featuring in the snippets is too low as there is too competition. This is particularly the case if you’re a new site with a low domain authority taking on behemoths in your niche. Not to mention, most questions which include common keywords have featured snippets populated by content from Wikipedia, Quora, etc., making your job that much more difficult. In these cases, it’s better to create content targeting ‘long tail keywords’ which have lesser competition. Long tail keywords are not just good for increasing organic traffic to your site, but they can also help you get ranked in featured snippets. Google displays a “Related Searches” box at the end of each SERP. A search for the query “technical seo” displays these related searches. Including these keywords in your post (also called latent semantic keywords aka LSI keywords) is a great way to signal to Google that your site is relevant to the query. When you attempt to answer tough questions, there are chances your answers can get too long. And that’s not necessarily a bad thing. The importance of long form articles (posts with 2000 words or more) has grown in the post-hummingbird SEO era. Having said that, long articles don’t make it easy for Google to display your content in the featured snippets box. While Google can always pick H2, H3 tags from your content and include them in the featured snippets section like it did with my post, you can’t count on it to do the same in most cases. In such events, it makes sense to include a summary or TL;DR version of your answers right at the top of the post. This will make it easier for Google to show your answer in the SERPs as a featured snippet. Featured snippets will continue their dominance in Google SERPs in the coming months. As such, learning a few techniques to get your content up there is worth the time and effort. While there’s no sure shot method to get your content ranked in featured snippets, following the techniques outlined here can definitely increase your chances. 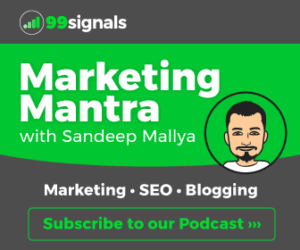 To get started with optimizing your content for featured snippet, perform an audit using SEMrush to see if your site has any featured snippet placements already. If you don’t have an SEMrush account, you can sign up for a free 14-day trial here. If you don’t see any results, you can use the techniques in this article to optimize your content for featured snippets. Hope you found this article on featured snippets useful. Share your thoughts in the comments below. Thanks for the really helpful post. You’re very true, Schema is not at all related to featured snippets. I own a couple of blogs and many of pages of my blogs are ranking in “featured snippets” section. In my experience, On-Page SEO plays the major role in getting the “featured snippets”. How you format your article? and how well your content answer to a question? is responsible for getting you a “featured snippets” listing. Good read, really will help others points you quoted above. 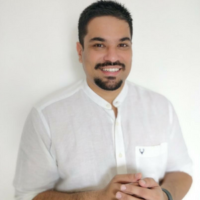 Looking forward for such nice article…thanks!